AirDrop is the easy to use direct file sharing protocol built into iOS and Mac OS X which allows for sending and receiving things between iPhones, Macs, iPads, and iPod touch. While AirDrop usually works without a hitch, sometimes there can be problems with AirDrop, and on the worst occasions AirDrop will not work at all. If you discover AirDrop to not be working at all, read on for some troubleshooting tips on how to fix the problem so that you can share files wirelessly and easily between iOS devices again. Before anything else, be sure you update iOS system software, as the latest versions include bug fixes that may address the problems you’re having with AirDrop directly. You can update iOS by backing up the iPhone, iPad, or iPod touch, then going to Settings > General > Software Update and choosing to download and install an available update if found. 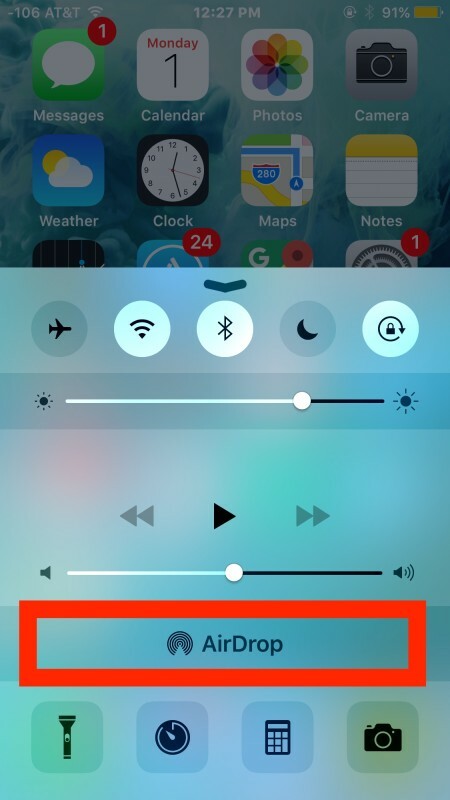 Additionally, if AirDrop is not showing up in iOS Control Center at all it is usually because the feature isn’t enabled, but sometimes it’s more complex than that, in which case the below troubleshooting methods will help to fix the problem. Once you are finished using AirDrop, you’ll want to go back to Control Center and turn the feature off, otherwise the device will continue to be available to everyone who happens to be looking for it (not turning off AirDrop to Everyone has led to some shenanigans at public coffee shops and libraries as I’m sure you can imagine, so it’s best to disable or return to Contacts Only when finished transferring with the protocol). 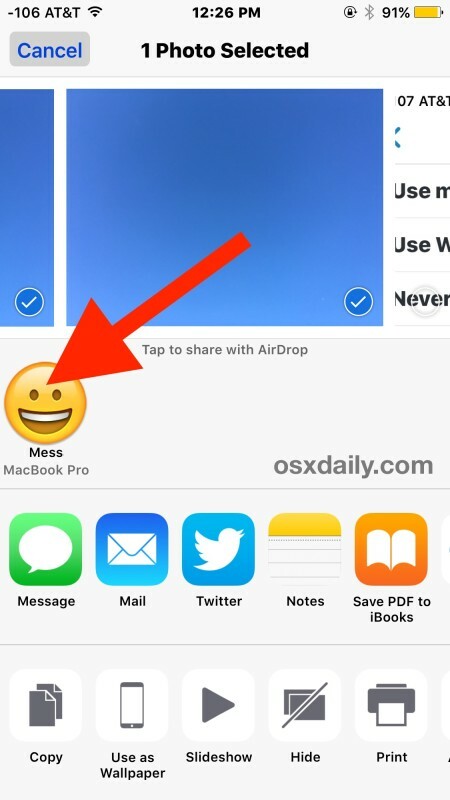 This toggle off, reboot, and AirDrop Everyone trick has resolved AirDrop sharing issues for iPhone and iPad for a long time, it’s reliable and it almost always works assuming the iOS devices are running modern versions of software, there are no hardware problems (i.e. the iPhone didn’t take an extended bath in salt water), and assuming Restrictions are not enabled for AirDrop. Remember, if AirDrop simply isn’t showing up, it’s probably because it has been disabled in settings. That also has an easy solution, though separate from the troubleshooting here. AirDrop Not Working Between iOS and Mac OS X? Using AirDrop between iOS and Mac OS X should work flawlessly as long as the devices (the Mac as well as the iPhone, iPad, or iPod touch) are all nearby to one another, they are running current versions of iOS and MacOS X respectively, and assuming they all have the feature enabled. If all of this is true and you still encounter AirDrop not working in iOS when trying to send or share with a Mac, try placing the Mac in AirDrop compatibility mode, which may resolve the issue with some particular hardware. Likewise, if you regularly use Compatibility Mode, try exiting and returning to normal AirDrop mode on the Mac to insure a connection can be found. Sometimes it’s just a matter of trial and error when sharing between the two Apple OS’s. Something else to keep in mind, even though the devices will enable wi-fi and Bluetooth, the devices don’t actually need to be on a wi-fi network for AirDrop to work. This is because no networking is required with AirDrop, as it creates an instant temporary ad-hoc network on the fly between, say, two iPhones, or an iPad and an iPhone, or an iPhone and a Mac with Mac OS X. Have any other issues with AirDrop? Fixes for AirDrop not working as intended? Some general questions or troubleshooting tips for AirDrop? Let us know in the comments. Apple shud do this before releasing it. It’s called testing. AirDrop is a great example of Apple failing its “It Just Works” philosophy. First, a user should not have to do all the shucking and jiving described above to Mac an IOS/OSX feature work. Worse, I do ALL of the things described above and my phone and Mac still recognize each other — or don’t — on some incomprehensible and random basis. Many of examples Apple’s failing to “Just Work” are in the very areas where it should have a huge advantage — interoperability between devices. Another good example is photo syncing, which also seems to happen with unpredictable randomness. Handoff? I love it — when it works. Apple has thrived because of the combination of visual appeal and straightforward, functional software interface. The visual appeal persists, but I fear there is not the relentless focus on software quality and great UX that there is on appearance. I’ve never seen this work, and these instructions haven’t helped either. iPhone 5s and Mid 2014 15″ rMBP (or Early 2011 17″ MBP), both running the latest iOS/OS X with WIFI and Bluetooth enabled. Hand-off is working, so they’re clearing able to talk to each other to some degree. It works between this rMBP and my Late 2007 MBP FFS, but never with my iPhone. Transfer photo from iPhone to Macbook….I expected to see the file in the AirDrop panel in the Finder. Finally looked in the Downloads panel….Doh!!! There they were! Try turining off low-power mode on your iPhone. AirDrop usually works for me, but today it did not. On a hunch, I turned off low-power mode on my iPhone, and it started working again. iPhone 6s, current OS and Mac with Sierra 10.12.3, all up to date and my computer WILL NOT find my iPhone. But my buddy’s iPhone and mine can Air Drop back and forth!! C’mon Apple, this should NOT be this hard!!! 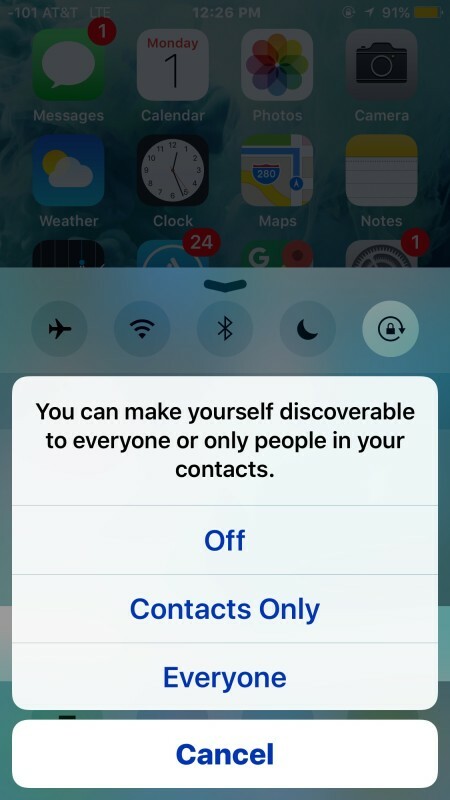 Put the AirDrop discovery mode to ‘Everyone’ and it will find it, but don’t leave it on Everyone mode otherwise anyone can send you AirDrop files of anything since there is no confirmation dialog. Works on both Mac and iPhone going either way.